Our region is not lacking in attractions, there are 1000 things to see and do: every corner hides a hidden gem! How to see everything... without spending hours reading your guide book? Ask at the reception desk: You can easily go on a guided tour of the city or we can advise you about the most interesting places to visit in the area: the historical centre, the Euganean Hills Natural Park and the Thermal springs at Abano are easy to access from the hotel even by public transport! 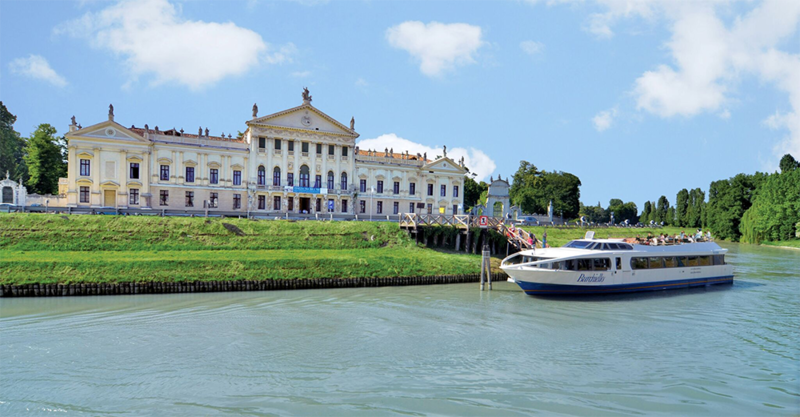 Every year, from March to October, a romantic mini-cruise among the Venetian Villas of the Riviera del Brenta, from Padua to Venice or the other way round, a trip through art and history on the way followed by the ancient Venetian Burchiello in the 1700's. Contact us to book and pay for everything in the hotel at no extra charge! Our city has many faces, and an even greater variety of itineraries you can follow to visit it! The artwork in the Cappella degli Scrovegni was painted by Giotto, and among the three central squares is located the Palazzo della Ragione. What’s more, a short walk from the markets in the three main squares is the oldest university in Italy, located in the Palazzo del Bo’! 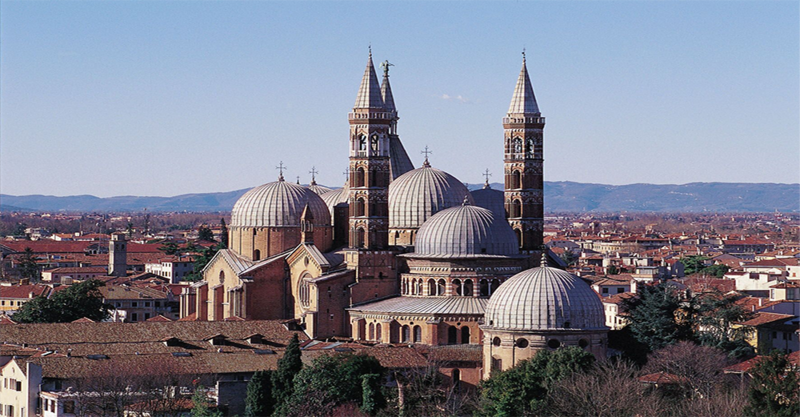 Shop windows and small quaint bars and cafes line the streets which take you from the city centre to the most important religious landmark: the Basilica of Saint Anthony of Padua. Lively and radiant by day, at night the city’s more playful spirit comes alive: it is time for spritz, the famous aperitif that was invented in Padua. Don’t miss it!! So you’re staying in the city and have a bit of free time from work? Or did you choose your stay precisely to take advantage of the opportunity to relax? 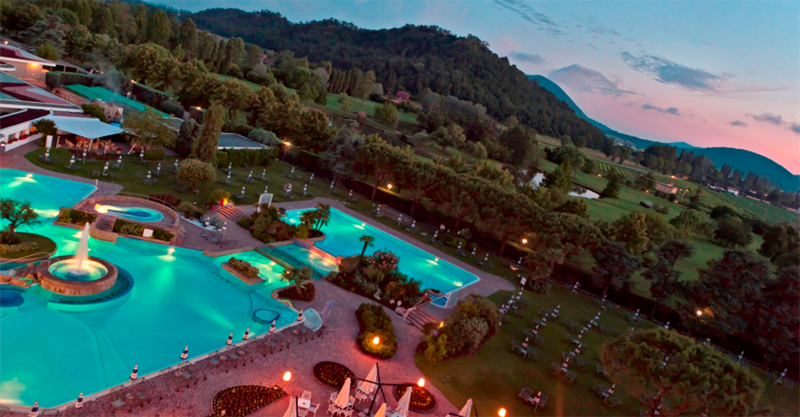 Either way the nearby thermal centres of Abano Terme and Montegrotto Terme make our hotel especially suitable for relaxation: half an hour by car is all it takes to get to the thermal pools where you can also enjoy the benefits of a spa mud treatment. Picturesque paths, the fascinating history of the small town of Arqua’ Petrarca, hills decorated with vineyards and unspoiled woods: this and much more is what awaits you in the Natural Park of the Euganean Hills! 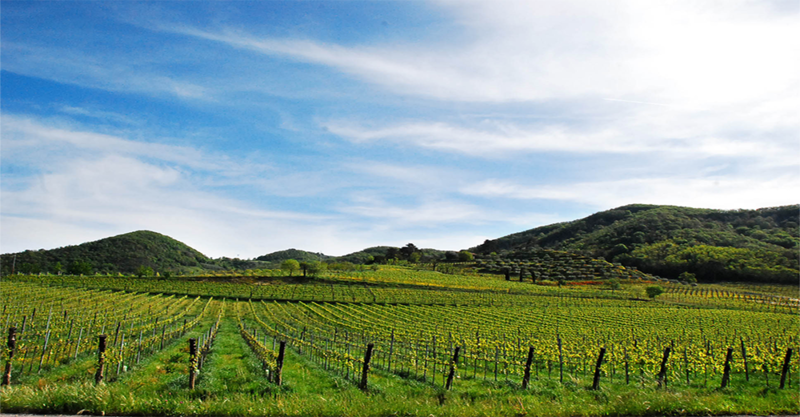 The Euganean Hills have volcanic origins and therefore preserve an important heritage of flora and fauna which is well integrated with the traditional local crop cultivation. Among the many products, wine making stands out because, together with the numerous farm stays and restaurants in the area, this makes it the ideal place for gourmet food and wine tasting. And if you are the active type, you can explore them by bicycle! Thank you for yor subscribe in our mailing list.